It was late May 2016, The Right Hon. Member for Tatton, Mr George Osborne, published an official HM Treasury analysis stating UK house prices would be lower by at least 10% (and up to 18%) by the middle of 2018 compared with what is expected if the UK remained in the European Union. So, eight months on from the Referendum, are we beginning to show signs of that prophecy? The simple answer is yes and no. Good barometers of the housing market are the share prices of the big UK builders. Much was made of Barratt’s share price dropping by 42.5% in the two weeks after Brexit, along with Taylor Wimpey’s equally eye watering drop in the same two weeks by 37.9%. Looking at the most recent set of data from the Land Registry, property values in Doncaster are only 0.77% up month on month (and the month before that, they had decreased by 0.03%) – so is this the time to panic and run for the hills? Doom and Gloom then? Well, let me consider the other side of the coin. Well, as I have spoken about many times in my blog, it is dangerous to look at short term. I have mentioned in several recent articles, the heady days of the Doncaster property prices rising quicker than a thermometer in the desert sun between the years 2011 and late 2016 are long gone – and good riddance. Yet it might surprise you during those impressive years of house price growth, the growth wasn’t smooth and all upward. Doncaster property values dropped by an eye watering 2.88% in March 2013 and 2.46% in January 2015 – and no one batted an eyelid then. 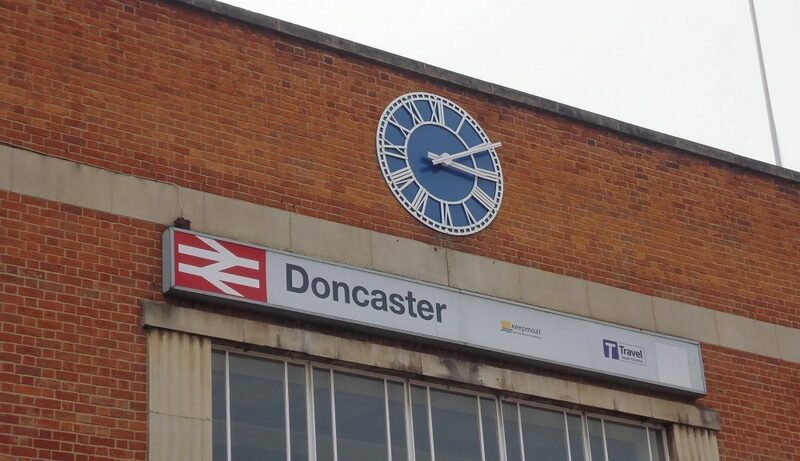 You see, property values in Doncaster are still 5.72% higher than a year ago, meaning the average value of a Doncaster property today is £152,200. Even the shares of those new home builders Barratt have increased by 43.3% since early July and Taylor Wimpey’s have increased by 37.3%. The Office for Budget Responsibility, the Government Spending Watchdog, recently revised down its forecast for house-price growth in the coming years – but only slightly. The Doncaster housing market has been steadfast partly because, so far at least, the wider economy has performed better than expected since Brexit. There is a robust link between the unemployment rate and property prices, and a flimsier one with wage growth. 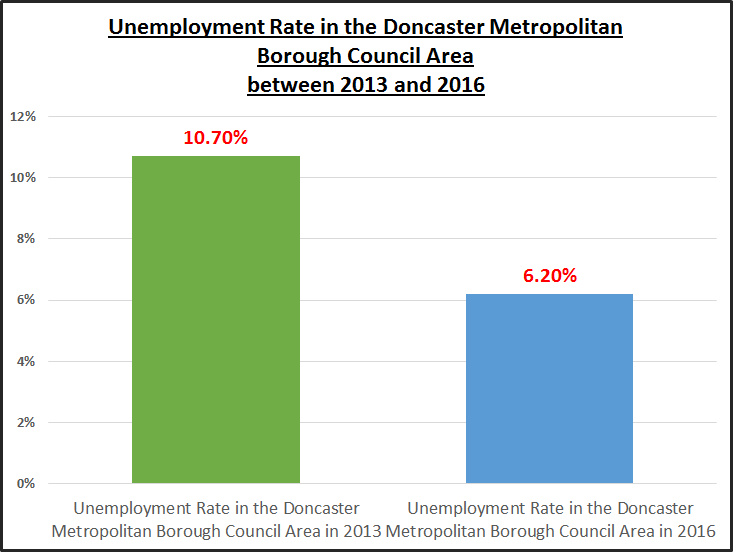 Unemployment in the Doncaster Metropolitan Borough Council area stands at 9,300 people (6.2%), which is considerably better than a few years ago in 2013 when there were 15,500 people unemployed (10.7%) in the same council area. However, inflation is the only thing that does worry me. Looking at all the pundits, it will get to at least 3% (if not more) in the latter part of 2017 as the drop in Sterling in late 2016 renders our imports with higher prices. If that transpires then the Bank of England, whose target for inflation is 2%, may raise interest rates from 0.25% to 2%+. However, that won’t be so much of an issue as 81.6% of new mortgages in the UK in the last two years have been fixed-rate and who amongst us can remember 1992 with Interest rates of 15%! Forget Brexit and yes inflation will be a thorn in the side – but the greatest risk to the Doncaster (and British) property market is that there are simply not enough properties being built thus keeping house prices artificially high. Good news for those on the property ladder, but not for those first-time buyers that aren’t! In the coming weeks in my articles on the Doncaster Property Market, I will discuss this matter further!